Samsung Curve It Up Promo Announced, Get As Much As 32K Worth Of Gifts! Home / mobile / news / samsung / Samsung Curve It Up Promo Announced, Get As Much As 32K Worth Of Gifts! Great news! 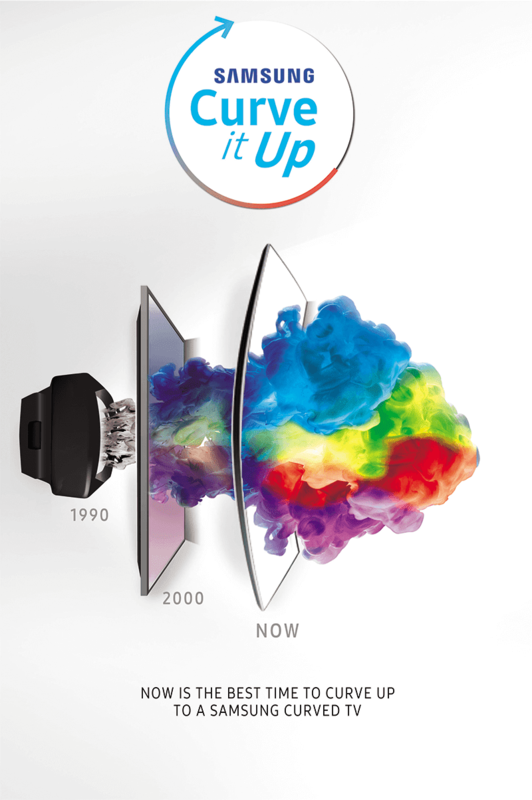 Samsung Philippines has announced the "Samsung Curve It Up" promo where you'll get a chance to get mind-blowing deals. Samsung Curve It Up promo! As we all know, Curved TVs offers better immersive and enjoyable experience, cause less eye strain that'll lead to better comfort, and nicer viewing angles. Moreover, they're elegant looking inside and out. With a goal of shifting your flat TV into a better curved TV, this July 13 to 31, get a chance to take home a second TV or as much as Php 32,000 worth of gifts with every Samsung Curved TV purchase. To be more specific, you'll get a 32 inch Smart TV when yo buy a 55 inch Curved UHD TV. Apart from that, you'll be able to have a LED TV when you buy a 49 inch Curved UHD TV. Lastly, customers can take home a 24 inch LED TV when they buy a 40 inch Curved Full HD TV. On top of those deals, customers will enjoy 7,000 Mabuhay Miles points and 1 year iflix subscription worth 1.5K Pesos! For more info, visit the website of Samsung Philippines now.